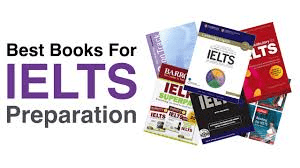 This topic contains 0 replies, has 1 voice, and was last updated by IELTS Online Practice 7 months, 3 weeks ago. 1. What’s you full name? 2. Where do you live currently and how far is it from here? 3. Why do you live there currently? 4. Is the place an interesting place? What is interesting about it? 5. #Cue card: occasion where you have visitors come, how do you feel about it? How do you feel when people come? 6. Is it better to stay in hotel or friends place when you travel to a new city? 7. What could be some of the reasons to not stay at the hotel? 8. Do you like writing? 9. How often do you write in day? 10. Do you think you will write in the future? 11. Coming to hotel staff so you think they need to be trained? 12. Based on my answerDon’t you think it’s human basic? 13. Lot of countries are placing importance on Tourism industry what is your opinion about it? 14. How important is advertisements in your country? 15. What do you think about celebrities endorsing products? Some of these are not in order by these were the questions.